Going grocery shopping can be an unpleasant experience for some people; so much that they just want to get in and out. And what happens when you do this? 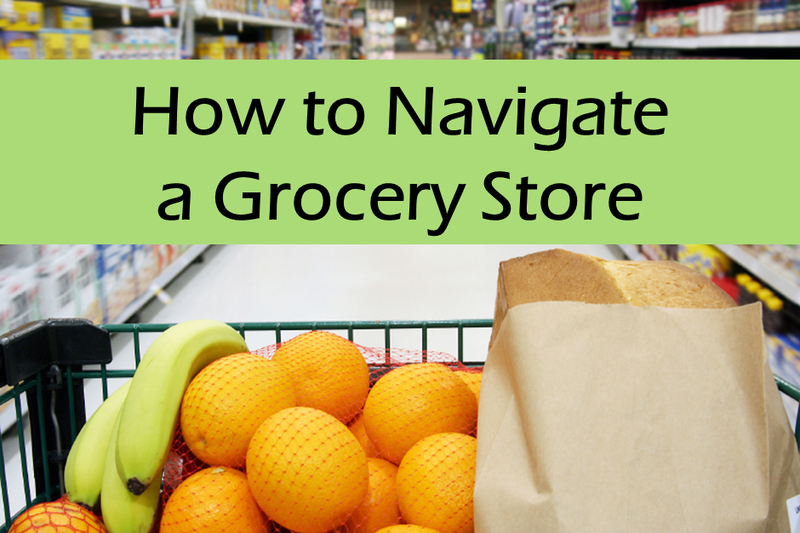 You end up grabbing the easiest foods (which are usually in the centre aisles) and leaving. You should map out beforehand what you’d like to buy (ie. make a grocery list) so you know you are maximizing your time by picking up the most nutritious choices. Rule#1: Create a shopping list. If you love to save money (like I do) look through the competitors flyers and price match. Most stores accept coupons too so check out gocoupons.ca , save.ca , Brandsaver and Websaver. Rule #2: Don’t go hungry to a grocery store. This will only jeopardize your plan on getting healthy food as you’ll end up wanting to grab something quick so you can eat it on the way home. Rule #3: Stick to the perimeter of the store. This is where the healthiest food is kept; fruits, veggies, bakery, meat and fish and dairy. Rule #4: The cart is usually in 2 sections; a smaller, upper bin and a larger, lower bin. Try to fill the bottom bin with all of your healthy food and leave the top bin for your snack food. Awareness of what you’re putting in your cart is a large contributor of the unhealthy food choices we make. For a fun meal planning printable check out this FREE printable curtousy of LifeIDesign.